Mark Wilson is an artist/illustrator/author and passionate conservationist. 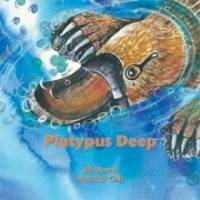 He has written and illustrated a number of books for children with strong environmental themes. In ‘Journey ofthe Sea Turtle,’ he tells the story of a loggerhead turtle, from birth to migration and back to the beach where she was born. When she returns, she finds that there is nowhere to lay her eggs. She becomes tangled in netting and struggles to survive. Finally the sight of shadow birds in the sky lead her to a new beach. The story deals with loss and degradation of habitat and the threats posed to turtles from human activities. In his teacher’s notes, Wilson is keen to point out the significance of turtles as a keystone species and their importance in the marine food chain. You can contact Mark for copies of his teacher’s notes. 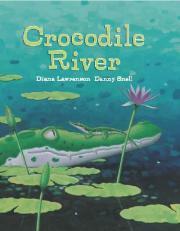 I love the structure and colour of the illustrations in this book. On some pages, the texture of the canvas for the paintings clearly shows through. On others there is a mixture of pencil sketches and colour. I like the way Wilson has shown the passage of time with the pages illustrating the hatchlings development from eggs. The blues, yellows and greens blend to make the ocean seem as if it will spill out of the page. Although the text is simple and able to be understood by the very young, there are also more complex issues here which could lead to further work on habitat, lifecycles, food chains and the requirements of living things. Interested in finding out more about sea turtles? For some art ideas about the book, check out what this school has done. 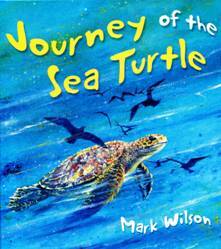 Journey of a Sea Turtle is availabe through educational suppliers Lamont and all book stores. Lamont may have copies of teacher’s notes available.